With Georgia’s Own Flex Rewards, we’re paying you back in rewards for your credit card purchases! Your everyday purchases have never been more rewarding! From utility bills to groceries to travel, your purchases will really pay off. Hundreds of rewards are waiting, including: gift cards, cash back to your Georgia’s Own savings account, a charitable donation to the Georgia’s Own Foundation, travel, experiences, event tickets, and merchandise. Rewards Points: 1.25 points earned for every dollar you charge with your Georgia’s Own Visa Signature® Card. 1 point earned for every dollar you charge with your Visa® Platinum Card. *Georgia’s Own Credit Card points will expire 5-years from the date earned. Points, including any rollover points or points transferred from an existing Georgia’s Own Credit Card, will not expire before May 31, 2023. **Applebee’s is a registered trademark of Applebee’s International, Inc. Outback Steakhouse is a service mark of Bloomin’ Brands, Inc. Best Buy, The Best Buy logo tag design, and BestBuy.com are trademarks of BBY Solutions, Inc. Macy’s, macys.com, and the Macy’s logo are all trademarks of Macy’s. All Amazon ®, ™ & © are IP of Amazon.com, Inc. or its affiliates. The Home Depot is a registered trademark of Homer TLC, Inc.
Not only can you earn points for everyday purchases thanks to Flex Rewards, but you can earn additional bonus points by shopping over 2,000 merchants in our online network. What’s more, many merchants offer exclusive discounts on top of the bonus points! Visit the link below and enter your zip code to see how you can earn bonus points and find discounts near you. 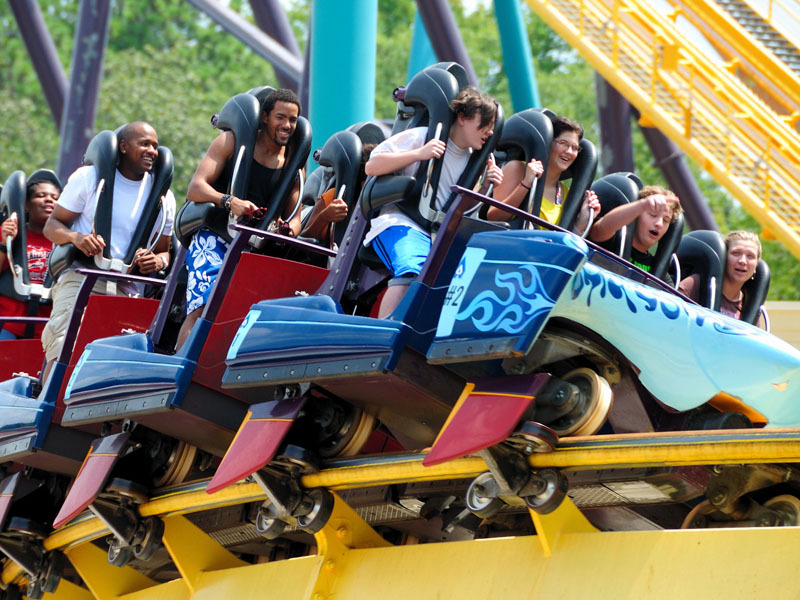 Georgia’s Own is proud to be a part of our favorite amusement park, Six Flags® Over Georgia. While you’re there, don’t forget to take a ride on our branded roller coaster, The Georgia Scorcher.